This is so easy it’s almost embarrassing to post it. Almost. 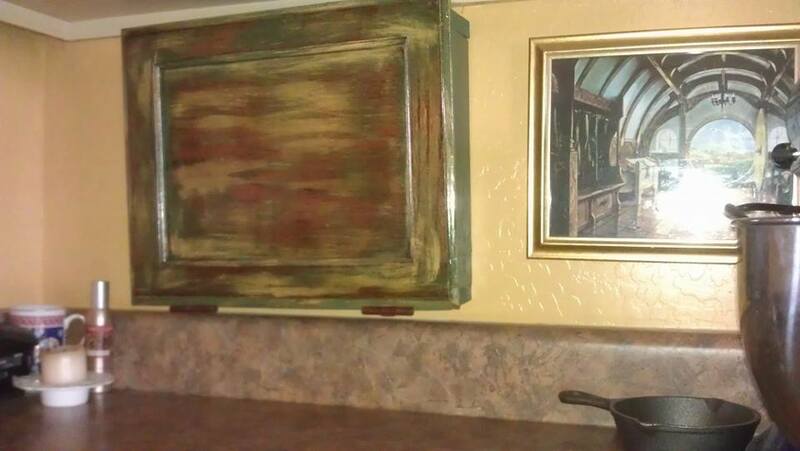 There are still folks out there that have not picked up on the many wonders of used cabinet doors. If you’ve read my blog, you’ve seen me turn them into serving trays, a tech cabinet, an outdoor planter, and even a patio storage bench. Last year I scored a pickup load of used cabinet doors for about 1.00 each. They came in various sizes and widths and the fellow I bought them from even threw in a 5 gallon paint bucket filled with hinges for them. Those I found on Craig’s List, but since then I have found that every Habitat for Humanities ReStore I have visited has a selection of these gems as well for only 2.00- 4.00 ea. depending on size. STILL a bargain because I am highly likely to run out of cabinet doors long before I run out of uses for them. 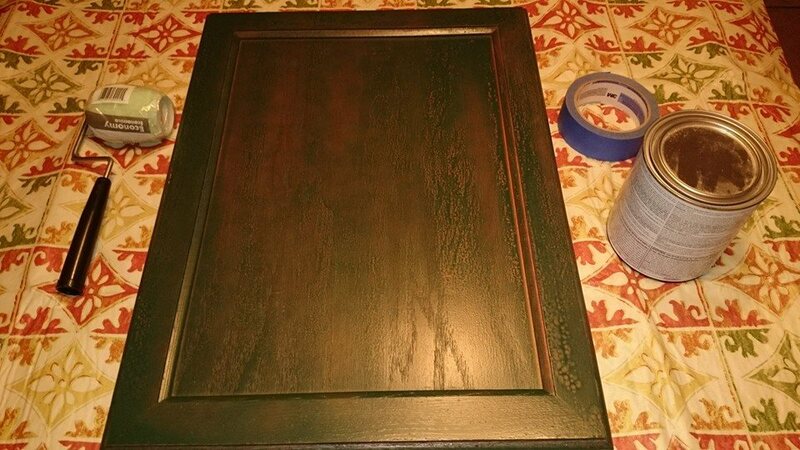 Because I like the rustic look and because I’m quite fond of green, I used a Hunter Green spray paint and gave the cabinet door a light coat all over. This allowed the wood tones to show through. Not into the rustic look? Not a problem. 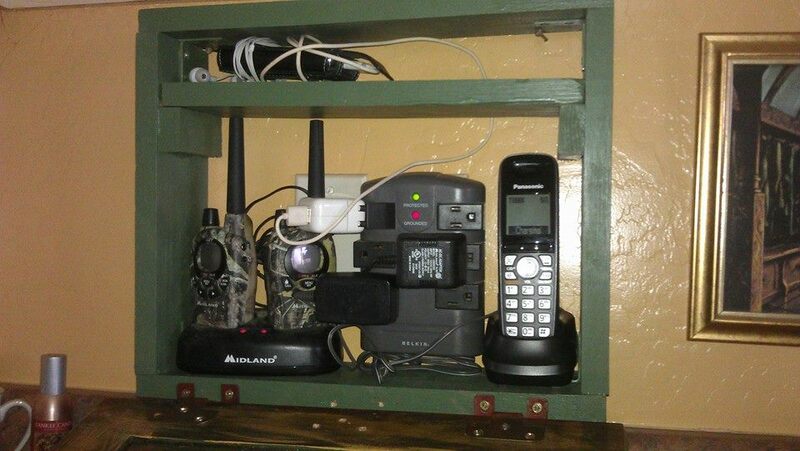 Choose what ever color you wish and use enough coats to completely cover up the wood. You’ll need to let each coat dry thoroughly before applying the next. 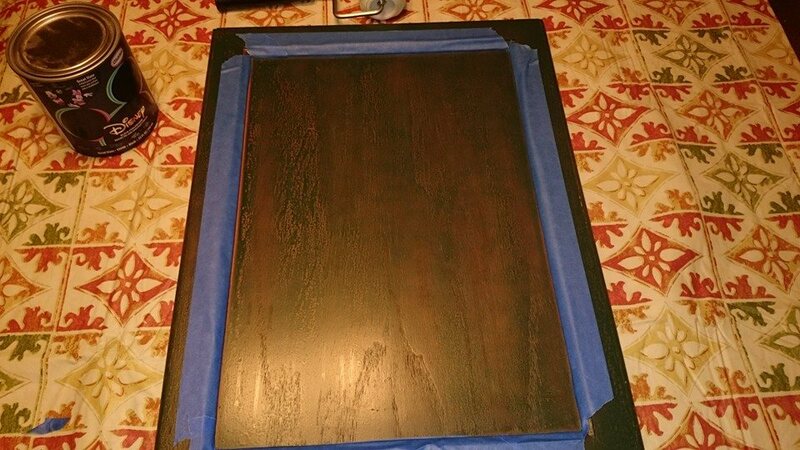 I then taped the “frame” of the door to make it easier to roll on the chalkboard paint without worrying about getting it all over the edges. I have a quart of Disney black chalkboard paint. You can get other brands and other colors. 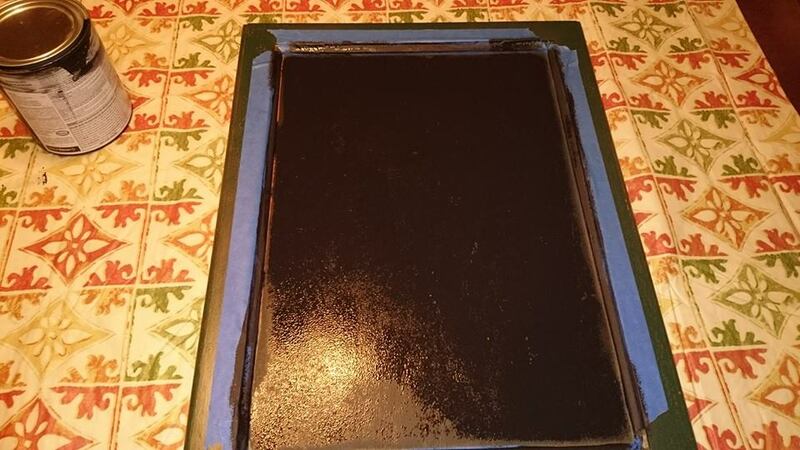 I also found a site that says you can DIY your own chalkboard paint in a treasure trove of colors using non-sanded grout mixed with semi-gloss latex paint in whatever color you wish! 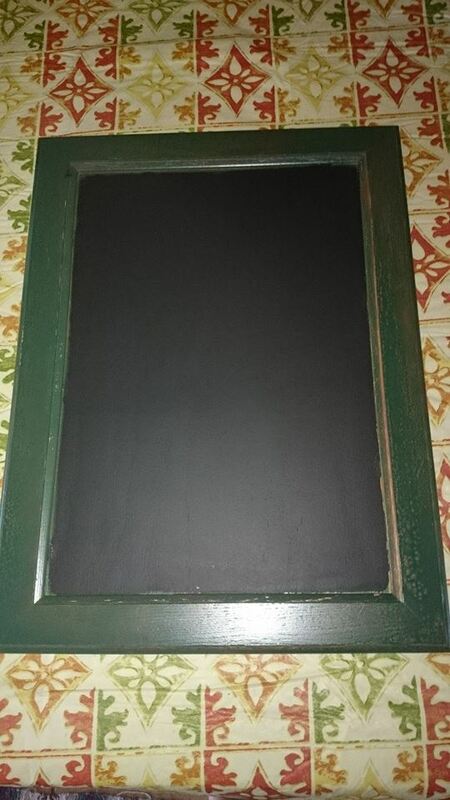 For those of you that want to paint an entire wall, this would be a more economical option: http://www.houzz.com/ideabooks/3454588/list/diy-make-your-own-chalkboard-paint. You’ll need two coats of the paint rolled on with a small paint roller. The first coat must dry at least 4 hours. 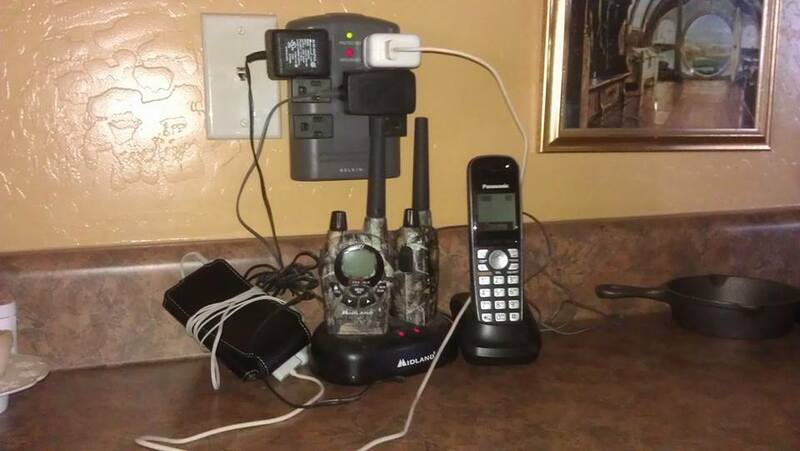 I simply let mine sit over night and finished up the next morning. However, you could roll on one coat in the morning and the 2nd in the afternoon. Once both coats are dry, run a utility knife under the edge of the tape to prevent any of the chalkboard paint from peeling up as you remove the tape. WAIT! Don’t grab your chalk! Now that both coats are dry and you have removed the tape, the paint has to cure for 7 (SEVEN) days. I’d love to tell you how well this worked, but I’ve got 6 days to wait 😉 Next Saturday I’ll scribble out a message for you.